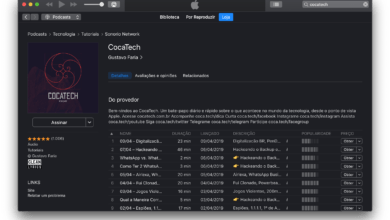 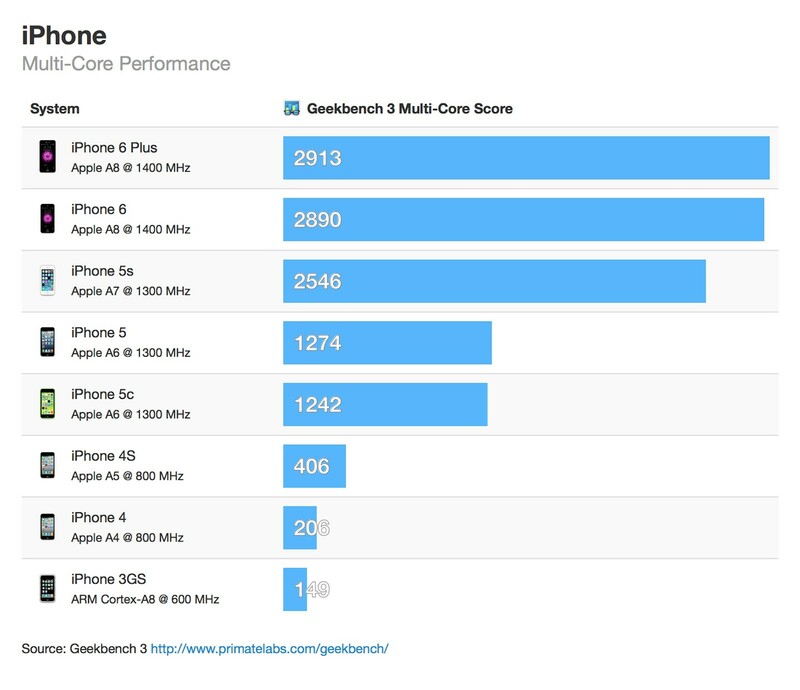 Duelo de Perfomance: iPhone 6 e iPhone 6 Plus esculacham os demais Smartphones? 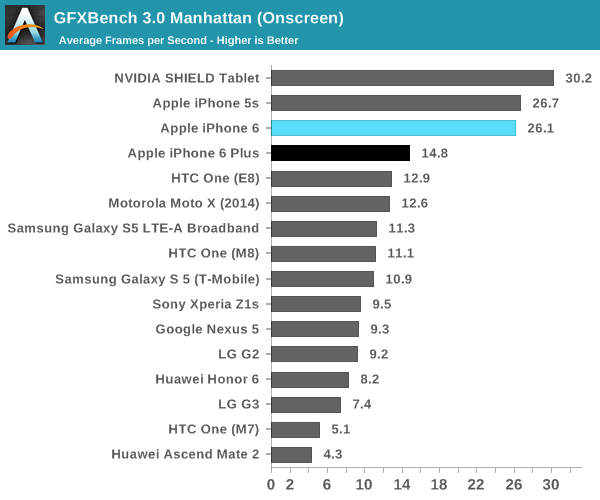 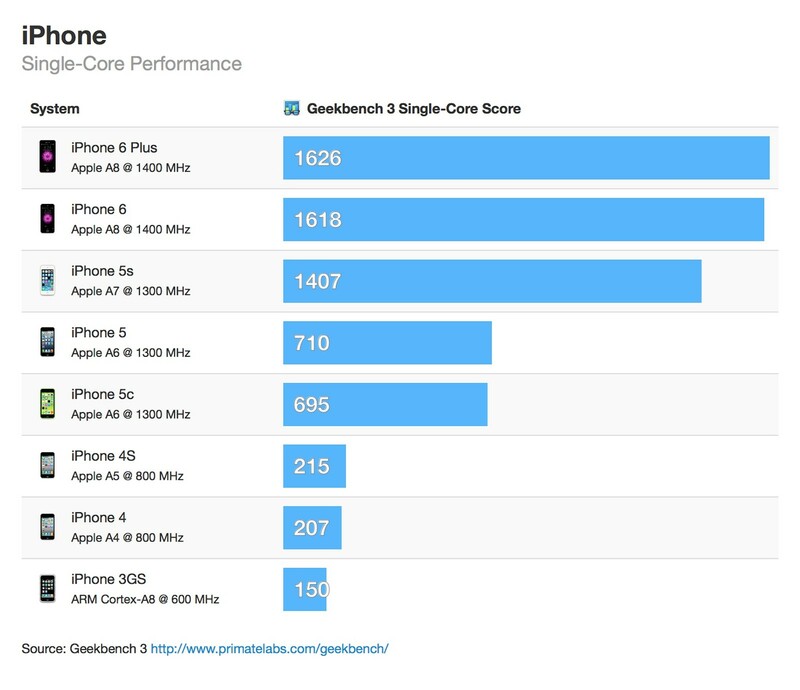 Geekbench 3 shows that the iPhone 6 and iPhone 6 Plus are 15% faster than the iPhone 5s. 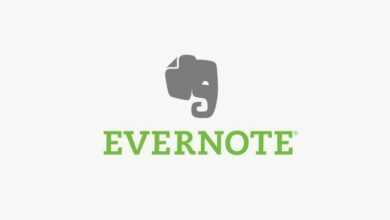 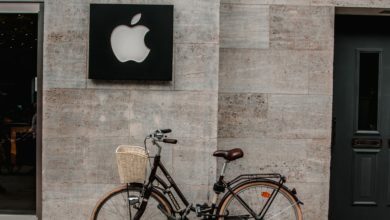 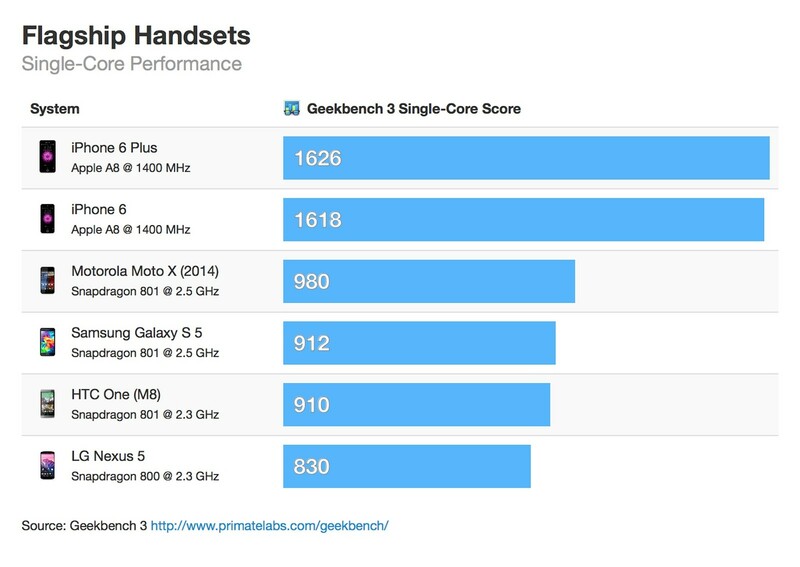 While this difference isn’t as dramatic as the one between iPhone 5s and the iPhone 5 (the 5s is twice as fast as the 5), a large part of last year’s difference came from the switch from the 32-bit ARMv7 architecture to the 64-bit ARMv8 architecture. 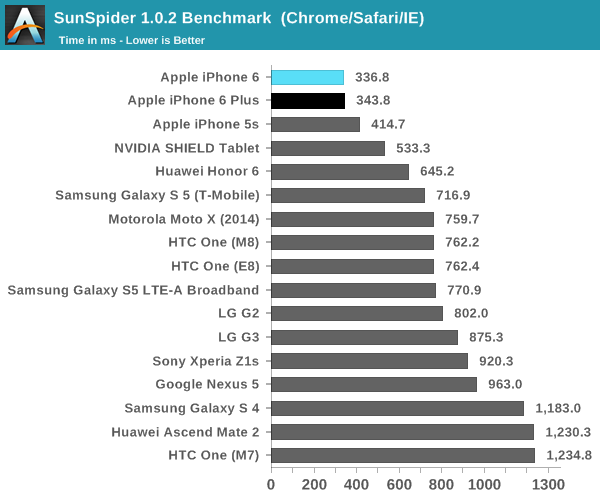 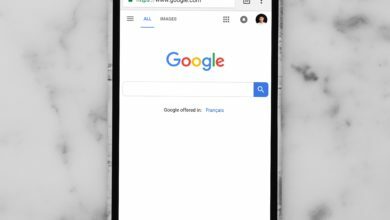 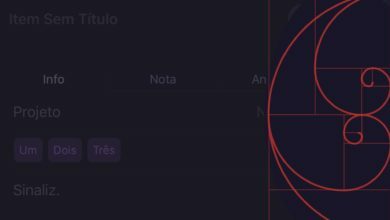 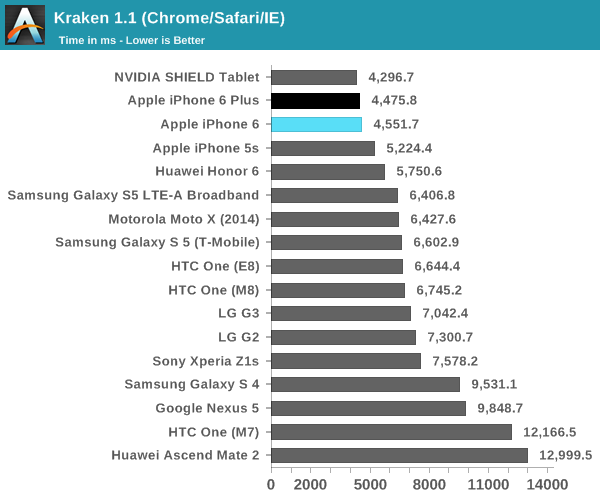 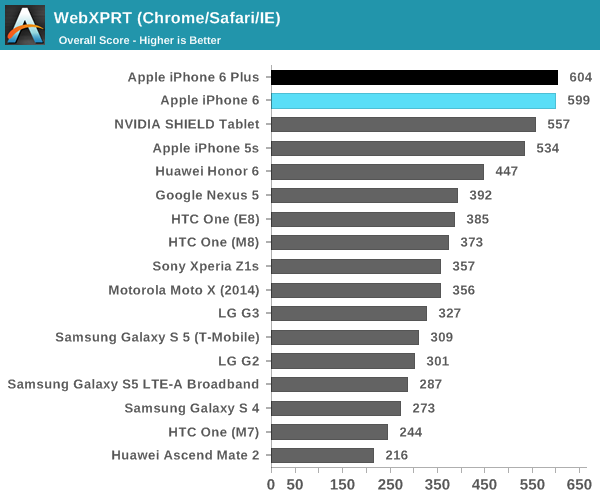 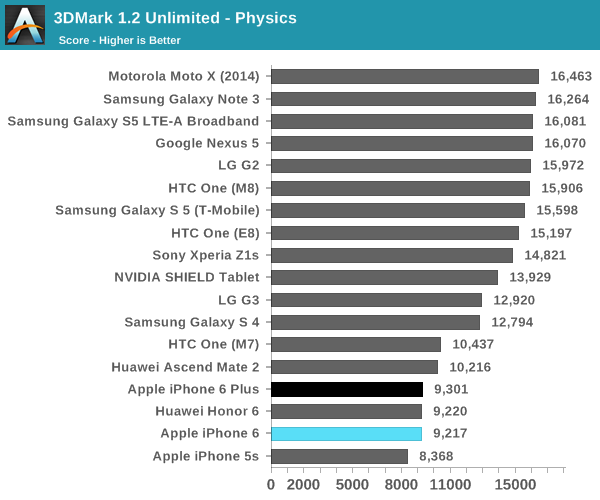 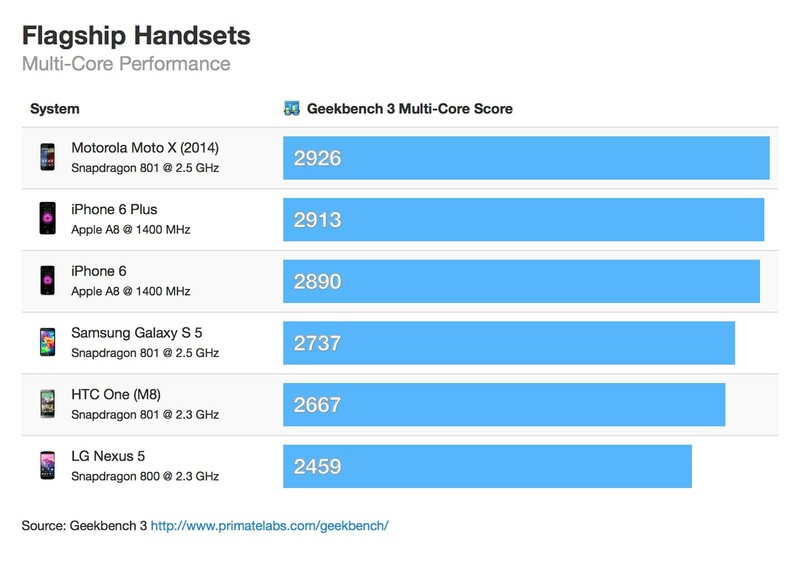 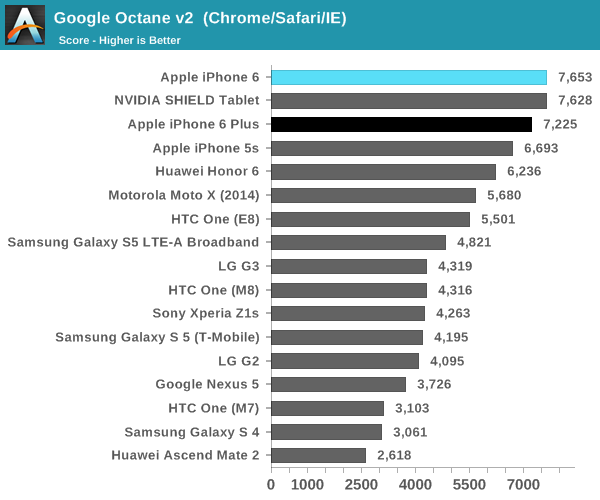 When compared against other flagship handsets like the Samsung Galaxy S 5 or the Motorola Moto X (2014), the iPhone 6 has significantly better single-core performance and comparable multi-core performance.